Turning Vision Into Action: 2016 Is Over! Where Did The Time Go? 2016 Is Over! Where Did The Time Go? These are just some of the messages I received from you in 2016. Apparently only writing 3 blog entries for the year (counting this one), qualifies as a cause for alarm. You may even be in a bit of a shock if you are reading this blog post. You too might have wondered where have I been in 2016? What happened to him? No blog posts in over 9 months creates a bit of a void. Close friends and followers emailed me or texted. Some were worried because my email address went down too…it changed for the first time in 20 years – at least that is what I told people, until I realized I did not actually have an email address back in 1996! Guess it was closer to 18 years. If you still need it, my new email is timothydkanold@gmail.com. Not too original, but it works. Well, we are 14 days from the end of 2016. And what a year it has been, filled with joy and sorrow in the journey. And I bet the same is true for you! First, I was staggered for a bit by the loss of my best friend of 35 years, Jerry Cummins in January of 2016. If you allow your self to reflect on the depth of feeling and emotion that comes from the best friend in your professional or personal life – the person who is like a brother or sister to you, then you will and can understand the pain and sorrow of losing the benefit of their love for you and their friendship with you. Jerry’s death and a few other “Stuff of Life” family and friendship events caused me to “get urgent” about going into a deep and reflective time for writing my latest book. The real reason there has been no blog entries is that I have spent the past 11 months in the inner sanctum of a manuscript, that I hope will have an impact on your life, the way Jerry had an impact on mine. Simply called HEART! and quite largely displayed over to the right of this entry (I am in awe of the cover design for the book!) this manuscript has been an effort of deliberate practice (Angela Duckworth would call it Grit) – a personal writing practice that has undergone writing, feedback, reflection, and refinement with more than 90 drafts of the book. I called on over 42 colleagues during 2016 to provide meaningful feedback and criticism, and in many cases I embedded their very words and actual voice into the book as well. This exhausting writing effort is essentially where I have been. I am a very visual person so, when I write, I need to post pages on walls, and look at the story as it unfolds- literally touching the pages in a way. 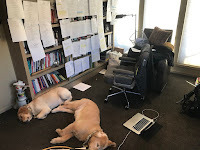 It is funny too, because when I am in my office and deep into the writing process, our Golden Retrievers (Kutya and Fibonacci) would often join me. With my door closed it could get a bit gamey in there. The picture at the right shows you how they would try to help. Consider too, that I am not a very gifted writer. I am not sure how quickly for you lessons design elements occur, but for me, the writing process is painfully slow. It takes lots of repetition and eventual organization of my thoughts in the hope those very thoughts will eventually connect for the reader. Perhaps the greatest heroes of the writing story for this book are the two people that gave me the gift of confidence and time to take on such a work. So, a big shout out of thanks to Douglas Rife – who when first approached about the book never flinched in his belief in me, and in the idea of HEART! And my wife Susan, who tolerated more than her fair share of hours in which I was either completely detached from family into the writing process, or in a constant state of angst about one of its chapters – even while on vacation. HEART! will be released on March 16th, 2017 if all goes well, and it will only be because of the efforts of so many at Solution Tree, even as we are in final edits. I want to tell you more about the book, and its ideas, but will reserve those thoughts for my early blogs in 2017. 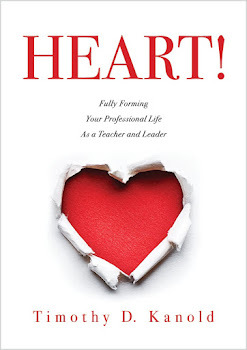 Soon enough we will have a landing page for the book, and lots of information about its hope to help every educator find the happiness, and the energy to fully engage in his or her work life. I promise this much, HEART! 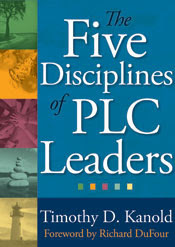 will be different than any other book dedicated to those of us that call education our profession! Ultimately, you will decide if my 2016 hiatus was worth it or not! With all of my heart, wishing each of you a happy holiday season and blessed beginning to 2017! I need to go take a break! See you in the New Year! So excited for you, Tim, and can't wait to see the fruit of your labor. Happy holidays and all the best in 2017! Looking forward to Heart! Best wishes for a Merry Christmas and a promising 2017!